Founded on dedication to the customer. Doug Van Nostran founded Van Nostran Young & Associates in 1979 with the vision of providing insurance solutions that meet the true needs of the customer, without influence from insurance companies. The agency has grown to include over ten employees (all licensed agents), with over 150 years of combined experience serving northeast Ohio with offices in North Canton and Hartville. Today, Doug and his partner, Will Van Nostran, continue to build upon their reputation for optimizing insurance plans and providing unmatched local claims resolution. At Van Nostran Young & Associates, we love what we do. Our passion translates into the best service, solutions and value for our clients. 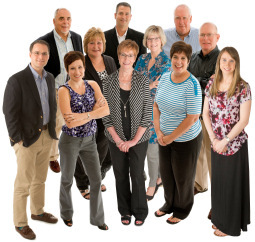 All employees at Van Nostran Young & Associates are licensed insurance agents who have a reputation for optimizing insurance plans, providing quick, local claims resolution, and working hard to maximize what our clients are entitled to receive. Copyright © 2019 Van Nostran Young & Associates. All rights reserved.